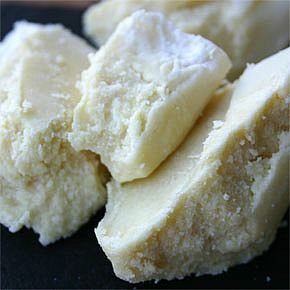 We have been contacted by a few customers , asking the possibilities of supplying pure Cocoa Butter. Unfortunately due to the 100% Cocoa Bars using all the ingredients of the Cocoa Pod. We do cannot provide this as a product. Cocoa Butter seems to be reviewed for removing stretch marks due to its highly concentrated natural fats. 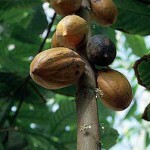 It also seems to be recommended for the treatment of skin conditions such as eczema and dermatitis. Recent research indicates that massaging the skin with cocoa butter may help relieve stress, boost the immune system, and even prevent cancer. This is because cocoa butter, like chocolate, contains a lot of CMP “Cocoa mass polyphenol” for the Heston Blumenthal types out there! Venezuelan Black – Healthy for you as Well! A cup of cocoa a day may help to keep the doctor away. A study by scientists in the United States has found that a cup of hot cocoa is rich in powerful antioxidants. Previous studies have also shown these chemicals, which can protect against a range of diseases and reduce the effects of ageing, are found in cocoa. However, this latest study suggests cocoa may be richer in antioxidants than better known “healthy” drinks like tea and red wine. In recent years, a number of studies have highlighted the health properties of tea, red wine and cocoa. A study in China, published in April last year, found tea drinkers were about half as likely to develop cancer compared with people who did not drink tea. …read full articles of "Venezuelan Black – Healthy for you as Well!" So it’s Chocolate week this week and we a delighted to be partnered with chocolate-week.co.uk for this special week indulgence and chocolate celebration. Check their website for great deals and discounts ! Willie Harcourt-Cooze’s quest to find the perfect chocolate has been a labour of love for more than a decade since he bought 1,000 acres of land in Venezuela and planted 10,000 cacao trees. The trees, he boasts, have produced “the finest, rarest and most expensive cacao in the world”. He exports it to his farm in Devon where he makes Venezuelan black chocolate which is processed by hand. Now Hugo Chavez, the Venezuelan president whose mentor is Fidel Castro, the former president of Cuba, has demanded an investigation into the British entrepreneur. Mr Chavez, a close ally of the mayor of London, Ken Livingstone, has introduced “Socialism of the 21st Century”. His Left-wing Marxist philosophy has therefore been offended by the idea of Mr Harcourt-Cooze exporting the cacao which he believes should be turned into gourmet chocolate by Venezuelan companies and workers’ co-operatives. The investigation is a setback for Mr Harcourt-Cooze, a tall, dark, charismatic and unpredictable man, who by his own admission had been struggling to establish his own chocolate factory in Devon. It was a chaotic process that was captured by Channel 4 for the series Willie’s Wonky Chocolate Factory. The programme disclosed that the secret behind his “Venezuelan Black” chocolate was his estate called El Tesoro – Treasure – in the mountains near the beach resort of Choroni. Enthusiasts of the brand include Thomasina Miers, who won BBC’s MasterChef programme in 2005 and who owns the fashionable Mexican restaurant, Wahaca, in Covent Garden, London. Since coming to power in 1998, Mr Chavez has subjected Venezuela to a new constitution which enshrines the state’s governing philosophy under the watchful eye of Mr Castro. Nationalisations and expropriations have become commonplace. The first casualty was the oil industry, the motor of the economy, with Venezuela sitting astride some of the greatest proven oil reserves outside of the Middle East. Multinational companies found their contracts torn up and new conditions imposed by the Venezuelan leader. Mr Harcourt-Cooze is the not the first Briton to find his assets under threat in Venezuela. In 2005, the Vestey Group, headed by Lord Vestey, saw one of its estates, Hato El Charcote, in the central Cojedes province, seized by the government. The Venezuelan authorities justified the expropriation by saying that the 13,000-hectare estate was not fully productive. However, more than half of the land had already been occupied by squatters, ardent supporters of the president, who now legally occupy much of the estate. We thank-you for your patience!